Taken in front of the CU Prep Building. Present in the photograph are Prof. Richard A. Edwards (far left), Prof. William L. Jayne (far right), and President Thomas Jackson Coates (far right). 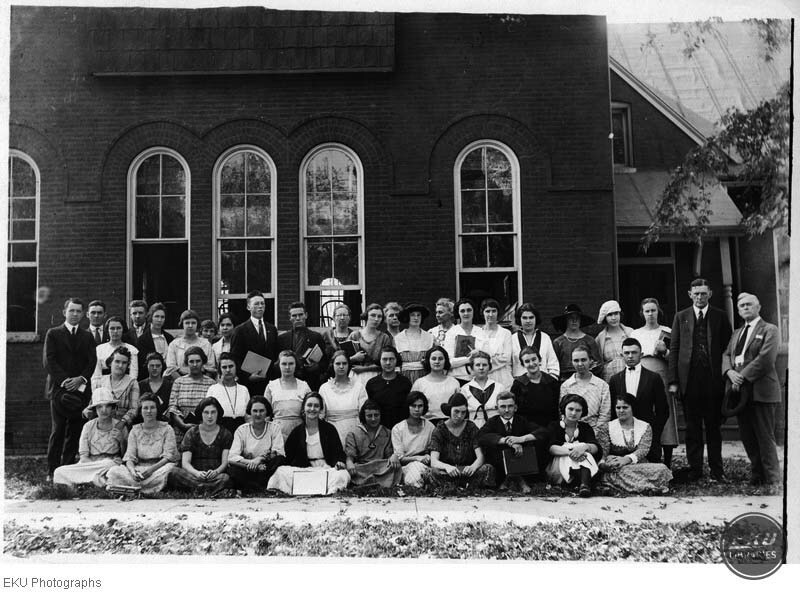 “An Observation Class of the Rural Demonstration School,” Digital Collections, accessed April 23, 2019, https://digitalcollections.eku.edu/items/show/32039.